California plans to slap a surcharge on certain Obamacare policies if President Trump and Congress don't commit to funding a key set of subsidies. Covered California, the state-run exchange, will add a "CSR surcharge" of 12.4%, on average, to silver-level policies in 2018 unless the president and lawmakers guarantee they will pay Obamacare's cost-sharing subsidies through 2018. The deadline: Later this month, when insurers and the exchange must lock in premiums for next year. 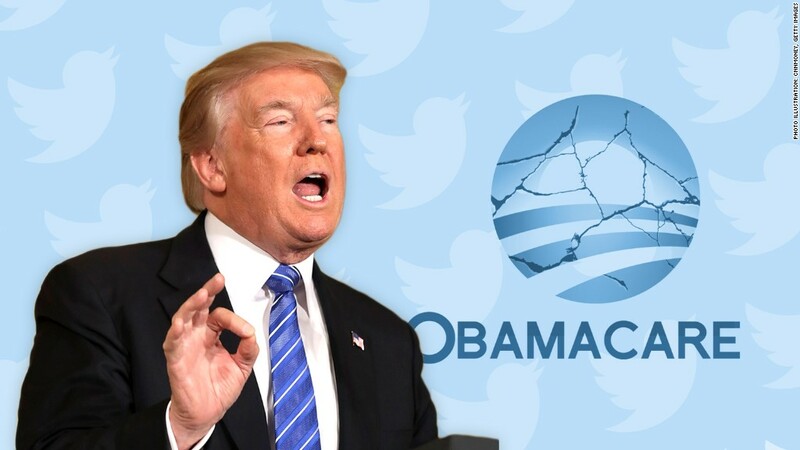 The funding of Obamacare's cost-sharing subsidies has emerged as a key weapon for Trump in his fight to repeal the health reform law now that efforts in Congress have stalled. He is threatening to stop sending insurers these payments, which reduce deductibles and co-pays for low-income enrollees. Their funding has been in question since the House brought a lawsuit against the Obama administration, arguing the money was never appropriated. Meanwhile, the Trump administration has been making the payments on a monthly basis. The uncertainty has prompted insurers nationwide to hike rates or abandon the Obamacare exchanges for 2018. Hoping to keep its 11 carriers in the market, Covered California devised the idea of the surcharge on silver policies. The fee would come on top of a 12.5% average hike in premiums in the state, which is slightly lower than last year's 13.2% increase. The rate change and surcharge must be approved by state regulators. In addition, Covered California will ask its board of directors to allow insurers that rack up big losses next year to charge higher rates in subsequent years to replenish their reserves. These changes are designed to stabilize the Golden State's marketplace amid the chaos emanating from Washington D.C., said Peter Lee, the exchange's executive director. "Covered California and many carriers, doctors, hospitals and other providers we work with are in it for the long haul," Lee said. While all the insurers have agreed to return next year, Anthem (ANTX) is greatly curtailing its presence -- exiting 13 of the 16 regions where it currently operates, affecting 153,000 enrollees, Covered California said. This follows the company's decision to exit from three of the 14 states it's in this year. Even with Anthem's downsizing, some 82% of consumers will have a choice of at least three insurers in their area. Roughly 1.4 million people are enrolled in Covered California plans. That's about the same as last year, though about 40% of consumers are new to the exchange. Since Obamacare went into effect in 2014, the state's uninsured rate has fallen to a record low 7.1%. That's down from 17.2% at the end of 2013. Californians have gained coverage on the exchanges, as well as through Medicaid expansion.